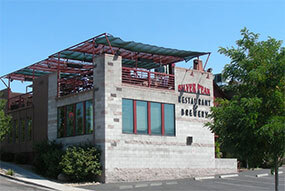 The Silver Peak Restaurant and Brewery was born from a friendship and a dream. We came up with the concept in the late 80′s, about seven years after we met. We'd been talking about opening a business together for years. 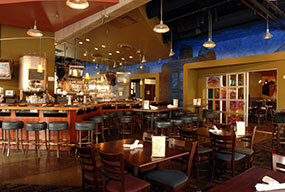 We eventually narrowed the field down to the idea of an upscale, modern-version of the classic brewpub. Then in 1991 the idea became a goal. That goal was to create a unique place in Reno; a restaurant and brewery where the service was as good as the food and the beer was worth coming back for; a place where locals could meet friends after work, or treat their dates and clients to original and delicious dishes. Reaching this goal took us longer, and to many more places than we initially imagined, but the final product, our restaurant and brewery, reflects all that we have learned along the way. Please explore a bit about the restaurant here on our web site, but keep in mind, this place had to come out with a lot of character after more than a decade of adventures and mishaps, and that is something you won’t be able to fully appreciate until you pay us a visit.